In a speech outside the Miraflores palace on January 17, 2015, upon his return from a twelve day trip abroad, President of the Bolivarian Republic of Venezuela Nicolas Maduro Moros addressed an expectant crowd of well wishers. Seizing the moment in the midst of an economic crisis and an intense opposition campaign against his administration, Maduro spoke with a renewed sense of confidence and determination: “This economic battle is decisive. We have the resources, the organized people [pueblo organizado], the historic project, the only one that exists in Venezuela. We have the force, moral and spiritual. We have the historic purpose. I am calling for meeting the challenge of the rebirth of the economy of the country.” Just days earlier, perennial presidential candidate of the opposition coalition (Democratic Unity Roundtable, MUD) and leader of the right wing Justice First party, Henrique Capriles Radonski, argued that the combination of falling oil prices and scarcity of basic consumer goods, constituted “a perfect storm for changing the government.” As rumors of an imminent coup against Maduro spread and predictions of economic collapse appear in the some of the corporate international press, the broad spectrum of Chavismo is circling the wagons around the revolutionary project. Venezuela is not alone, as over the past year there have been expressions of solidarity with the Maduro administration from the Union of South American Nations (UNASUR), the Bolivarian Alliance for the Peoples of Our America (ALBA), the G77 plus China, and the Non-Aligned Movement as well as from progressive forces from around the world. At the height of the guarimbas (violent demonstrations) during the first quarter of 2014, the majority position of the Organization of American States (OAS) too came down on the side of the constitutional order. The late President Hugo Chávez and now Maduro have played leadership roles in the regional associations of Latin American independence and integration; for this reason social movements, Afro-descendant and indigenous peoples, and peasants and workers throughout region are among the stakeholders in Venezuela’s revolutionary project. A great deal hangs in the balance with regard to the feasibility of advancing a democratic socialist project while under the continuous attack of a U.S. backed opposition, elements of which are bent on restoring the neoliberal regime. One gets the sense that a decisive battle is underway for the political future of Venezuela and indeed, for the cause of sovereignty throughout the region. For all of these reasons Maduro’s annual address to the nation (Memoria y Cuenta) on January 21, 2015 held special weight as Venezuelans and international observers heard the government’s vision for the way forward. Last Wednesday, President Maduro gave his annual address before the national assembly and the country (Memoria y Cuenta), in his role as head of state during the year 2014. He made his way, walking along the streets towards the National Assembly amid the enthusiastic greetings and embraces of a great multitude of followers. Addressing the nation, he said: “In the year 2015 we will implement a special plan of protection for Venezuelan families through the Great Mission of the Households of the Country, having as our objective to protect, through holistic policies, the attention given to children, and to increase pensions for families and in particular for Venezuelan women.” The government of Venezuela understands that in the face of the difficult economic situation it has to fortify, not retrench, the social programs that benefit the most needy. The Maduro administration is committed to maintaining the Grand Housing Mission that up to now has built 673,416 housing units and it has approved the resources to build 400,000 more housing units this coming year. It has also promised to increase the number of scholarships and pensions as well as increase the minimum wage by 15 percent and preserve the Food Mission. “This is a holistic strategy: protect the family, the households of the country, our young students; advance our powerful Housing Mission of Venezuela which also will generate a great amount of economic development; advance the powerful Great Mission New Barrio–Tri-Color (housing renovation project); to continue the social development of our country,” emphasized Maduro. At the same time, Maduro ordered the immediate inspection of all of the food distribution networks of the country and threatened to bring the full weight of the law against those who continue the economic sabotage. At this writing (January 22) the Minister of Commerce, Isabel Delgado announced that the government is meeting with 100 of the country’s largest producers and distributors at the Miraflores Palace to discuss distribution issues in the coming days. This essay will offer a briefing on the current political standoff in Caracas and argue that only an effective counter offensive by the government, with the support of the popular sectors, can push back the opposition economic coup underway in Venezuela and start the country down the arduous road to economic recovery. By distinguishing the anatomy of the coup in Chile in September of 1973 from the short lived coup in Venezuela in April of 2002 and by reviewing the use of food as a political weapon during the oil strike in Venezuela from December 2002 to March 2003, we aim at interpreting the dialectic at work in the present confrontation between revolution and counter revolution in this South American nation. Both the opposition coalition MUD on the one hand, and the United Socialist Party of Venezuela and allied parties on the other, are now preparing to mobilize their constituents for demonstrations during the third week of January, marking the anniversary of the overthrow of the dictatorship of Marcos Pérez Jiménez on January 23, 1958. While it appears that the MUD has moved its march to the 24th, the Venezuelan newspaper El Universal has confirmed a number of anti-government student demonstrations are planned in Sucre, Mérida, Zulia, Guayana, Táchira, Carabobo, and Miranda on the 23rd. The 23rd of January has cultural significance because it marks a break in Venezuelan history, when a dictatorship gave way to a power sharing arrangement between the major political parties (AD, COPEI, URD) called the pact of Punto Fijo or puntofijismo. This representative democracy (also referred to as the Fourth Republic) advanced the interests of transnational capital and the ruling class of Venezuela. It was characterized by routine rampant corruption and the prevalence of poverty for more than half the population. At this writing, the United Socialist Party of Venezuela (PSUV) has called for a “march of the undefeated” in west Caracas, “in honor of those who were assassinated and persecuted by the fascist right during the governments of the fourth republic.” The MUD has called on its followers to participate in an anti-government demonstration in Caracas on the 24th of January which it designates as “the march of the empty pots, against hunger and for change.” The MUD action is also a protest against “scarcity, the lines, the insecurity, and the repression.” It appears that the MUD will transmit a message “to the nation” on the 23rd with a proposal for change. The 23rd and 24th of January are therefore set to be days of struggle for the hearts and minds of Venezuelan constituent power. One of the variables on which these campaigns are based is the exacerbation of the problems, the exaggeration of the problems, mediated by a campaign of rumors to generate a climate of anxiety. After just a week on the queues, people were buying candles, in addition to food, because they heard that a coup was coming, because there was going going to be a magnicide, because there was going to be generalized looting, because there was going to be a social explosion. This generates anxiety and this anxiety does not disappear but accumulates. Instances of the sort of rumor mongering observed by Schémel can be found in the opposition press. For example, El Nacional published an opinion piece by journalist Marianella Salazar which lays out the details of an alleged military conspiracy to force Maduro to resign and seek asylum in Cuba where Raul Castro has already allegedly agreed to receive him! Here is how Salazar speculates that the plot might then unfold: “on the agenda for the transition has emerged the name of General Raúl Baduel. Although he is in the military prison of Ramo Verde, he has auctóritas in the heart of the Bolivarian Armed Forces and they consider him a conciliator without intentions of installing a military dictatorship.” Among the outcomes of such a coup is that Venezuela could then “leave the China Fund and go to the International Monetary Fund.” The author also imagines that should General Baduel take the helm of the executive branch of government he would “avoid the Caracazo.” Perhaps this is supposed to give readers comfort. The Caracazo refers to an uprising originating in the poorer sections of Caracas in February 1989 in response to an IMF “structural adjustment package” imposed by then President Carlos Andrés Pérez. Pérez responded by declaring a state of emergency and between 300 and 3000 Venezuelans were killed by the security forces. Yet a return to the IMF is just what Salazar has in mind! These sorts of economic and psychological opposition campaigns are not new to Venezuelan politics. Since Hugo Chávez was elected President in 1998 the counter revolution has been relentless in its quest to bring about regime change, with hard liners willing to deploy terrorist attacks and sabotage. Each onslaught by the ultra right has been deterred by the civic military alliance that has continued to back the constitutional order to this day. But is this time different? Are we witnessing the eve of another break in history, one that will restore a rehabilitated version of the neo-liberal regime of the fourth republic? Or will the Bolivarian cause weather yet another political and economic storm? The last fifteen years show that Chavismo does not strengthen its position by negotiating with the right but by confronting it. After the April 2002 coup Chávez resorted to conciliation and compromise to no avail. Something similar has happened during the Maduro administration. After narrowly winning the presidential election in April of 2013, the opposition presidential candidate refused to concede the electoral victory to Nicolas Maduro and urged his followers to “drain the outrage.” The opposition waged an unsuccessful international campaign to delegitimize the outcome of the presidential election and an estimated eleven Chavistas were killed by anti-government extremists. Yet Maduro called for dialog with the opposition, and UNASUR as well as the Vatican helped to mediate the discussions. Maduro took some heat from the left for these talks and the shortages and price gouging only continued. Later in the year (2013), Maduro launched an offensive to enforce price controls and anti-hoarding laws. While evoking the antipathy of big business, such measures may partly account for a recovery in the electoral base of Chavismo in time for the municipal elections in December that year. The PSUV and their allies won about three quarters of the municipalities in the December 2013 municipal elections. In what opposition leader Capriles had vowed would be a plebiscite on Chavismo, the PSUV and its allies together also won the popular vote by a margin of about 6.5 percent. Of course, a year later things are different: the economy is in recession and despite intensified government efforts to curtail contraband, speculation, and hoarding, the shortages have persisted. To be sure, there are indeed signs of some dissatisfaction with the government response to the shortages even in the popular barrios. But this does not necessarily translate into widespread disaffection. Those who are prepared to write the obituary on Chavismo will probably join their like-minded predecessors of the last fifteen years in underestimating the driving force behind the Bolivarian revolution: the millions of formerly excluded constituents, now protagonists in a politics of liberation, who will not easily succumb to military, economic, or parliamentary coups, the success of which they reasonably suspect would once again relegate them to the margins of social and economic life. The situation on the ground today in Venezuela, in particular the shortages of basic goods, is in some respects analogous to the the conditions leading up to the 1973 coup against the democratically elected socialist government of Salvador Allende in Chile. A major tactic of the right-wing Chilean opposition and the Nixon administration was to “make the economy scream” by provoking food shortages, a truckers strike, and mayhem in the streets. Researcher Peter Kornbluh, in The Pinochet File: A Declassified Dossier on Atrocity and Accountability, summarizes declassified cables that indicate in the days preceding the overthrow of Allende a terrorist paramilitary group and a “large segment” of the business community were “undertaking actions to increase discontent and incidents of violence…in order to create an atmosphere in Chile which would be propitious for a military coup” (2003, p 91). No sooner had this regime been sworn-in amidst a great deal of celebration and fanfare by the golpistas than the coup began to unravel. The short lived 2002 coup against Chávez removed the military option from the arsenal of the counter revolution. Just months later, the same opposition groups launched an attempt at an economic coup against the Bolivarian government. Chávez had issued 49 laws by decree, a temporary power (the enabling law) granted by the National Assembly. Some of these laws, in particular those relating to land reform and oil industry policy, did not sit well with landowners and PDVSA. With the possibility of privatizing the state owned oil industry foreclosed by the 1999 Constitution, Chávez sought to ensure that a substantial part of oil revenue would be directed towards social investment (referred to often as by Bolivarians as “paying the social debt”), but he was up against an entrenched group of oil executives that coveted their independence. PDVSA management argued that Chávez was seeking to politicize PDVSA and undermine what it took to be a “meritocracy”. According to Gregory Wilpert’s history of the period, the company was unwilling “to go along with the government’s plans to increase taxes on the oil industry, to reduce costs, to increase transparency in its international operations, and to appoint a pro-Chávez board of directors.” Wilpert observes that this conflict came to a head during the April 2002 coup attempt “when PDVSA managers actively supported the coup by shutting down one of Venezuela’s main refineries during that crisis…” (p. 95). After a brief period of what Wilpert calls a “retreat” by Chávez in the aftermath of the coup, the opposition called for a “general strike” which led to “a combination of management lockout (of the oil industry), administrative and professional employee strike, and general sabotage of the oil industry” (25). It is important to note that in addition to placing a stranglehold on the country’s main source of export revenue, there were “food and gas shortages throughout Venezuela, mostly because many distribution centers were closed down” (25). In a move that brought most harm to the poor and working class, gasoline and food were being used as a political weapon against the Bolivarian project. After weeks of an industry lockout and acts of sabotage against PDVSA infrastructure Chávez went on the offensive, using troops to stop the hoarding of food and to keep schools and banks open (254). The opposition attempt to cripple the oil industry did not sit well with the military, who were called in to secure the facilities. The management of PDVSA was replaced and an overall 18,000 (almost half the workforce) lost their jobs. It is important to note that popular power ensured the return of the democratically elected government of Chávez to power in 2002 and defended the government again during the oil strike in 2002-2003. These events occurred prior to the implementation of the social missions later in 2003. These are the social programs that have done so much to reduce economic inequality in the country, alleviate poverty and increase access to education, healthcare, and housing for millions of formerly excluded Venezuelans. It appears that the popular sectors had cast their lot, despite the trappings of economic and psychological warfare, for staying the Bolivarian course rather than opting for a restoration of the neoliberal regime. The damage wrought by an attempt at an economic coup by crippling the oil industry was devastating. According to Jones (2007) “Production plummeted to as little as 150,000 barrels a day, compared with normal output of 3 million a day. Exports typically averaging 2.5 million barrels a day dropped to next to nothing” (p. 379). Furthermore, Jones writes that “the economy nearly collapsed, contracting by 27 percent in the first fourth months of 2003” (p. 386). Jones puts the total cost to the oil industry of the lockout at $13.3 billion USD (2007, p. 386). Economist Alfredo Serrano Mancilla indicates that by the end of the strike unemployment shot up to 20.7 percent and about 700,000 jobs were lost. Many small and medium size businesses went bust because they depended for their supplies on businesses under the umbrella of the opposition Fedecámaras. Poverty reduction that had been underway since 1998 suffered a reversal that could not be effectively remedied until the implementation of the missions established in the aftermath of the oil strike in 2003 (pp. 308-310). After the oil strike, the opposition regrouped and within months Chávez faced a recall referendum in which he won a resounding victory. On August 15, 2004, 5,800,600 (59.25 percent) voted for Chávez and 3,989,000 (40.74 percent) voted for recall. So in just a three year period, the Bolivarian revolution faced down a military coup, an economic coup and constitutional referendum by an opposition that sought regime change even this meant resorting to extra constitutional means. As a result, argues Ciccariello-Maher, the revolution only became more radicalized and determined. Today there is universal agreement among both the broad spectrum of Chavismo and the various factions of the opposition: Venezuela is facing an economic crisis, perhaps even an emergency, that requires urgent “rectificación”. While high inflation, a broken currency exchange system, and falling oil prices have indeed been urgent issues, the scarcity of basic goods reached crisis proportions in the days preceding and during Maduro’s trip abroad and still stands in need of a sustainable remedy. The government and the opposition approach these problems from radically different perspectives and propose dialectically opposed solutions. Something has to give, and give soon. The opposition MUD–Fedecámaras position is that the current economic crisis can be resolved by free market oriented reform. Fedecámaras has called on the government to respect private property rights, repeal the Law of Just Prices, deregulate the economy, correct the “excesses” of Labor Law, and establish one floating exchange rate. The director of the Chamber of Commerce of Caracas, Victor Maldonado, maintains that “If we begin to make these corrections today in the economy in the medium term one will see the results.” Fedecámaras representatives also blame some of the scarcity of consumer products on a lack of sufficient divisas (dollars) available at preferential exchange rates for the import sector. The government position is that basic commodity shortages are being caused by elements of the private sector that control the importation, production and distribution of food and other products and criminal speculators and smugglers who are sometimes allied with this sector. These actors are allegedly responsible or complicit in the illegal stockpiling of products in warehouses aimed at bringing about artificial shortages. There is empirical evidence for such claims. 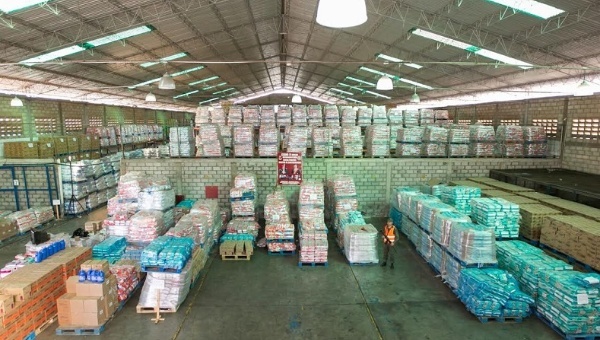 Thousands of tons of products, including subsidized items, have been diverted from the marketplace for sale in Colombia in 2014. Warehouses full of goods that ought to be on store shelves are frequently discovered by the authorities. Subsidized food items are often purchased by speculators for resale at higher prices in the domestic market. Some importers have been buying products at the subsidized currency exchange rate but then selling those products as though they were purchased at the much higher parallel rate. Fictitious “importers” are also blamed for massive amounts of currency fraud by obtaining divisas (dollars) at the preferential exchange rate under pretext of importing priority goods and then selling those dollars on the parallel market or holding on to them in expectation of further devaluation of the bolivar, a practice that suggests the corruption of some public servants as well. What are we to make of these observations about scarcity? For Maduro, the game is up for the economic coup being waged by the political opposition and its allied collaborators in the private sector. He has delivered an ultimatum to food distributors to cooperate with efforts to overcome food shortages and in his January 21, 2015 address to the nation (Memoria y Cuenta) vowed to immediately launch an all out effort to bring the diversion of commodities from the marketplace under control. This means that the government will more aggressively enforce laws against hoarding, continue to intercept contraband, and move to alleviate panic buying. There is growing pressure on the Maduro administration to also increase prosecutions of those committing currency fraud, including collaborators in the state bureaucracy, and to allow an independent audit of the currency exchange transactions. The state, backed by workers, is also expected to continue to support the resumption of production in plants abandoned by the owners. Opposition leader Capriles is certainly correct that the current economic model is not sustainable, but what is that model? While there has been a great deal of state intervention in the economy and significant social investment through the missions under Chavismo, Venezuela is still largely a capitalist country, and food imports and distribution, despite the growing number of cooperatives and socialist or mixed run enterprises, is still mostly in private hands. So the debate is not over whether the economic model has to be changed, all are agreed, but in what direction: should there be more or less social control over the means or terms of the production and distribution of goods and services? Historic memory probably plays some role in Rodríguez’s decision to deny permission to the opposition march to enter his municipality. On the 9th of April 2002, fedecámaras, together with the CTV called for a general strike to force the resignation of then President Chávez. The march calling for the general strike congregated on the 11 of April 2002 at the main headquarters of the PDVSA. From there the then president of of the CTV said in an impassioned manner: “I do not rule out the possibility that this crowd, this human river, marches to Miraflores to expel the traitor of the Venezuelan people” (see Jones, 2007, p. 319). They marched up to the areas near to the Miraflores palace with the permission of the then mayor of Caracas, Alfredo Peña who was part of the opposition. In hindsight, this march arguably had as its objective the creation of chaos, assassination, and eventually the justification of a coup d’état. On the heels of a violent attempt at extra constitutional regime change earlier last year, and amid rumors of an imminent coup, the municipality of Libertador has decided not to lend itself at this time to the contingencies of an opposition march that may harbor, however unintentional, similar golpista elements. The Maduro administration, in the midst of an economic crisis exacerbated by plummeting oil prices, has been taking heat from both a determined opposition and Chavista dissidents who think he has been moving too slowly in advancing the transition to socialism according to the Plan de la Patria (2013 – 2019). Independent community media and a number of leading Chavista public intellectuals such as Luis Britto García, José Vicente Rangel, and Gonzalo Gómez have articulated an analysis that is not persuaded the government is principally responsible for the scarcity of basic goods, on the contrary, they express no doubt that there is an economic war being waged against the government. But as the keen observer and analyst of Venezuelan public opinion, President of Hinterlaces, Oscar Schémel points out, the government still has to communicate a stronger case, through deeds, that it can effectively deal with the economic crisis. If it can achieve this objective promptly, the government can shore up its electoral base in time for the parliamentary elections. Another important factor in considering the current balance of forces is the civic military unity built by the late Hugo Chávez. This alliance was instrumental in reversing the coup of April 2002 and it ended the oil lockout and economic war of 2002-2003. This unity was demonstrated once again during the first quarter of 2014 when the guarimbas failed to gain a foothold in the popular barrios. These events indicate that without the support of the popular sectors the military is highly unlikely to intervene on behalf of imperial and oligarchic interests. Perhaps most important to shoring up the government’s immediate fiscal position was the recent CELAC–China conference in Beijing and President Maduro’s twelve day international trip. Maduro has secured agreements with China (about 20 billion dollars in investments) and other countries that have given some needed oxygen to Venezuela’s federal budget. Although Maduro did not bring home an OPEC agreement, the trip at least set the stage for a meeting next week in Caracas of technical teams from OPEC countries with the goal of reaching “global consensus on petroleum prices.” At a time when the U.S. is imposing unilateral sanctions on Venezuela, Maduro’s trip has also fortified his relationships with a number of nations and raised the profile of Caracas on the world stage. Moreover, Venezuela has the strong support of allies not only in Latin America, but among the Non-aligned Movement countries as well. While the images of long lines and empty store shelves are played over and over again in the international corporate media, there are other scenes that show another side to Venezuelan political reality. As the Worker-President Nicolas Maduro drove a bus through the streets of Caracas on January 17, upon his return from a twelve day trip abroad, he was greeted by well wishers at ten different points in the city. And as he walked to the National Assembly Building on the way to deliver his address to the nation on January 21, the streets were lined with cheering well wishers. There is indeed growing public resentment over the shortages and long queues as there was in 2002 and again in 2003. Nevertheless, in those cases popular power, at the critical hour, remained firmly on the side of the Bolivarian cause, despite the hardships caused by scarcity. The MUD is trying to capitalize on “the perfect storm” by whittling away at Chavista support for Maduro in the popular barrios, but this will be an uphill battle so long as the opposition retains the stain of the intensely unpopular April 2002 coup. As a number of political commentators have urged, it is most important now for Maduro to follow up on his announcements of remedies and reforms with more details and effective action if Chavistas are to achieve an electoral edge in the coming parliamentary elections. If the last fifteen years of the Bolivarian revolution are any indication of the future, then once again, just as during the coup of 2002 and the subsequent oil strike, the organized expressions of popular power will probably be decisive in determining the outcome of the present economic and political crossroad. Frederick B. Mills is a Senior Research Fellow at the Council on Hemispheric Affairs and Professor of Philosophy at Bowie State University. Note: Translations by the authors are unofficial. Ciccariello-Maher, G. (2013). We Created Chávez: A People’s History of the Venezuelan Revolution. Durham: Duke University Press. Coronil, F. (2011). “State Reflections: The 2002 Coup against Hugo Chávez.” In Thomas Ponniah and Jonathan Eastwood, Eds. The Revolution in Venezuela: Social and Political Change Under Chávez. Cambridge, MA: Harvard University Press. Gott, R. (2011). Hugo Chávez and the Bolivarian Revolution. New York: Verso. Jones, B. (2007). !HUGO! The Hugo Chávez story From Mud Hut to Perpetual Revolution. Hanover New Hampshire: Steerforth Press. Kornbluh, P. (2003). The Pinochet File: A Declassified Dossier on Atrocity and Accountability. New York: The New Press. Mancilla, A. S. (2014). El Pensamiento Económico de Hugo Chávez. Spain: El Viejo Topo. Sanchez, G.(2012). LA NUBE NEGRA: Golpe Petrolero en Venezuela. CA: Vadell Hermanos Editores. Wilpert, G. (2007). Changing Venezuela by Taking Power: The History and Policies of the Chávez Government. New York: Verso.